This chapter Nerve injury: Classification, clinical assessment, investigation, and management, Living Textbook of Hand Surgery is licensed under the Creative Commons Attribution-ShareAlike 4.0 International license, although certain works referenced herein may be separately licensed.... This chapter Nerve injury: Classification, clinical assessment, investigation, and management, Living Textbook of Hand Surgery is licensed under the Creative Commons Attribution-ShareAlike 4.0 International license, although certain works referenced herein may be separately licensed. Download the PDF to view the article, as well as its associated figures and tables. 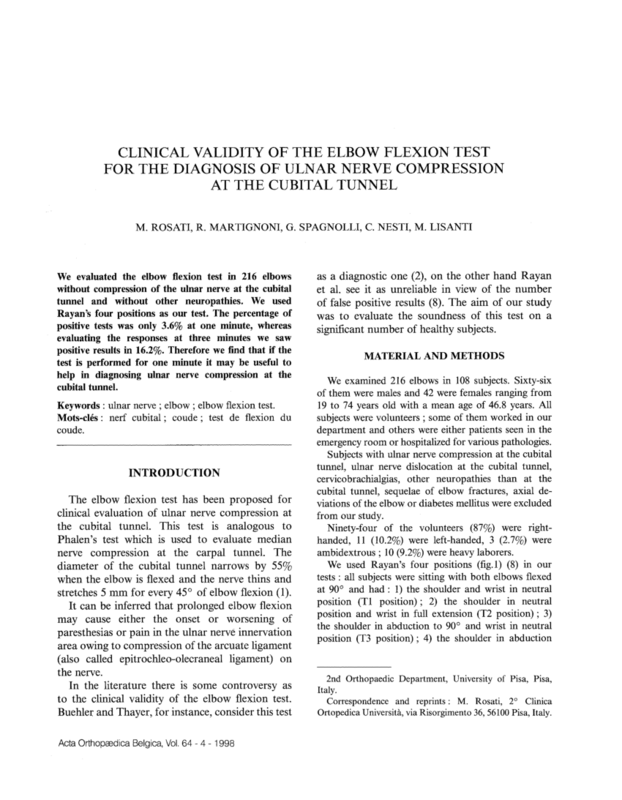 Abstract This volume is designed "to assist the relatively inexperienced examiner in the evaluation of peripheral nerve motor function."